Google is re-designing Gmail. I think many of you might even already have the new design working because you opted in for the beta-version. I know I do. It looks really nice and works pretty nice also. The redesign however is just part of what Google is planning to do with Gmail. They are adding some features which are not even in the beta version which is currently available. 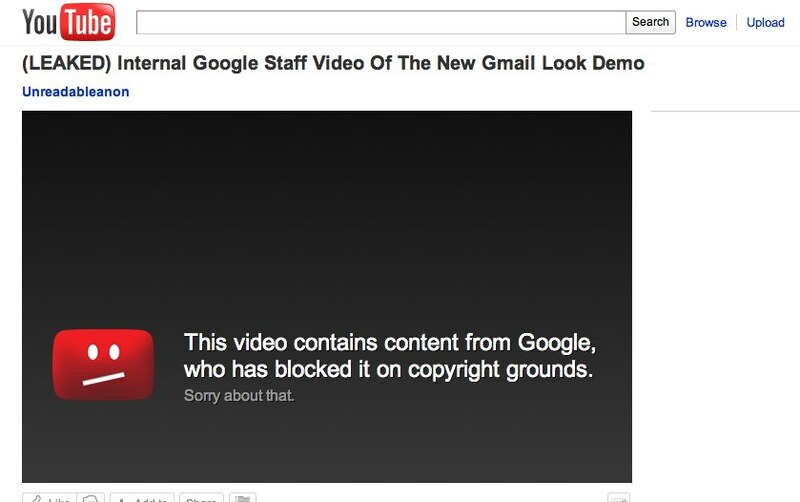 Last week Google accidentally put a video online introducing the new Gmail. That wasn’t supposed to happen. If look for to the video now you won’t find it. Copies were taken offline on YouTube. Users who had a copy on YouTube were seen as copyright violators. If you look at the video there is not that much special about it to be honest. It shows one or two nice features who are not groundbreaking. You can make it more fitting to your personal needs and search is getting better. So why pull it off? And why taking this video also away from other users? Is there something we’ve been missing? Isn’t Online Shopping Supposed To Be Easy? Pingback: Video Is The Winner In Branded Content Marketing - All News & Campaigns.